Insider tips and tricks! 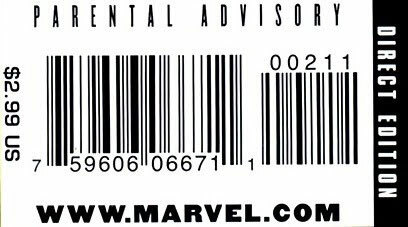 Today on the show, we tell you how you can examine the bar code of your favorite comic to learn more about it: The issue number, if it’s a variant cover, what print run it came from, and price. 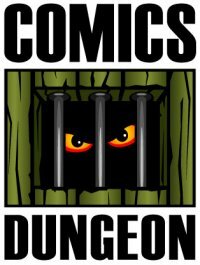 Nicole also recommends using previewsworld.com as a resource to identify the exact issue you’re looking for before approaching your local comic shop. Saves wear and tear on the employee. We also talk about Kickstarters that have succeeded to take the bad taste of unshipped and failed Kickstarters out of our mouth. Tune in to hear some of our favorites. Today on a very special Book Report, we all read the same thing: Preacher Vol. 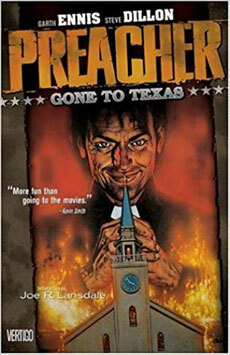 1: Gone to Texas from Vertigo.